Pentagrams are the most iconic and controversial symbols in Wicca. It has appeared in ancient texts and religions, with variations of it appearing in Satanism, Christianity, country flags and in various forms of magic. It holds many different meanings in different religions and cultures. 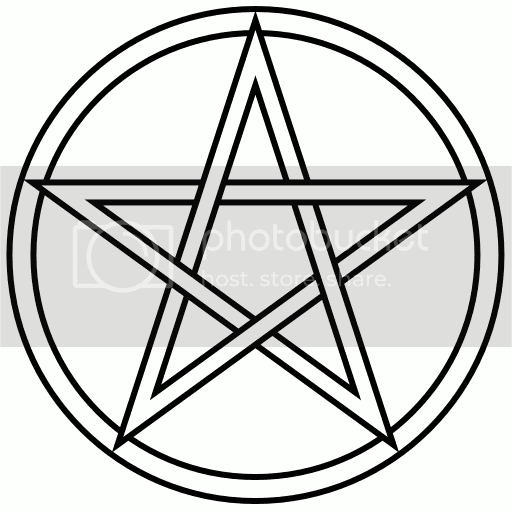 For Wiccans, the pentagram serves a symbol of faith, kind of like how Christians wear the symbol of the cross on a necklace. Because the pentagram is a steeped in mystery, people often ask if it has any actual power. Will a pentagram necklace protect you from harm? Would a demonic spirit cower in fear if confronted with the five points of the sacred symbol? Can it help me find a lost set of keys? The answer is, sort of. It is highly unlikely that an angry spirit will be stopped in its tracks if presented a pentacle. However, the symbols do possess a strong force, making them essential in Wiccan practices. A pentagram charm that has been charged with energy can bring strength to your aura, which is why so many Wiccans wear them on necklaces. They offer a certain level of spiritual and physical protection, especially when held close to the heart chakra. Charged pentagram charms are also often used in spell work. Adding them in mojo bags or while performing most rituals and spells brings about a large amount of energy from the Divine Spirit. If you’re looking for pentagrams, or any other witchcraft supplies, you can purchase them right here on moonslightmagic.com. We carry tons of beautiful pentagram charms that can be worn as jewelry or used in spells.